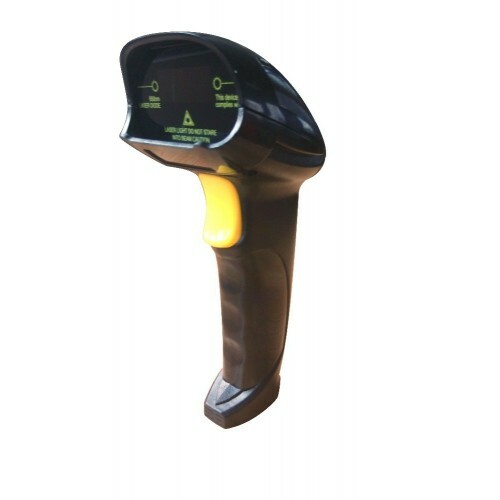 This is a cost-effective handheld laser RS-232 bar-code scanner, which is special designed for small stores, exclusive shops and chain business organisations. It has a good performance of shock resistance. It fast scan most commonly–used 1D bar codes. Its scanning speed can be up to 150 times/sec and the depth of scan field can be above 40cm. 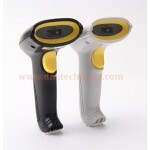 Want to interface Barcode scanner to Micro-Controller? Integrating Barcode scanner into your Micro-controller based project has never been simpler. 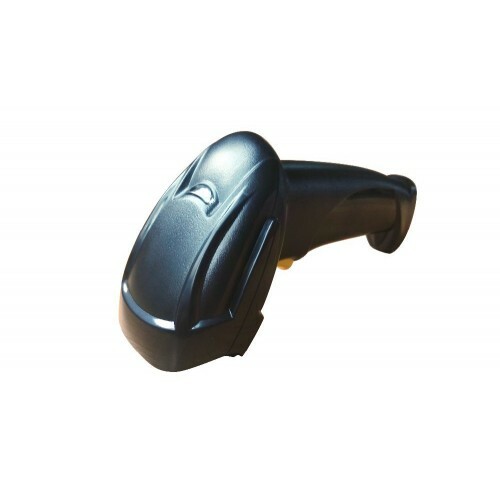 This Barcode scanner has direct RS-232 output so it can be directly interfaced directly to any micro-controller via MAX232 IC. Since the output of the bar-code scanner is serial it can be connected to any micro-controller with UART pins. The default baud-rate is 9600 you can even test the output by connecting it to PC via Serial Port or you can even use a USB to Serial converter (for Laptops & PC's that do not have com port) and view the output on Hyper-terminal by setting its baud-rate to 9600. Related Link: How to Interface Bar-code Scanner with Micro-controller. Barcode type: 1D barcode like UPC-A, UPC-E, EAN-13, EAN-8, ISBN/ISSN, Code 39, Codabar,Interleaved 2 of 5, Industrial 2 of 5, Matrix 2 of 5, Code128, Code 93, Code 11,MSI/PIESSEY, UK/PLESSEY, UCC/EAN128 code, etc. Please NOTE: This Barcode Scanner works on 5 Volts. RS232 To TTL Convertor ModuleWant to connect Arduino, Raspberry Pi or any Microcontroller via RS232 ..
CSN-A1 Thermal Printer with TTL/RS232 InterfaceAdd a mini printer to any micro-controller project wi..
2D Image Barcode Reader & QR Code ScannerWant to read QR Code or 2D Barcode with your Micro..